It's that time of year - the time for New Year's resolutions, new promises, and fresh starts. If you're like me, some of them work out and others don't. What's the problem when they don't work? For me, it can be easy to just let things slide because there aren't any consequences for being a slacker. When they do work out, it's usually because I feel a sense of obligation or accountability, so I don't end up letting myself off the hook. 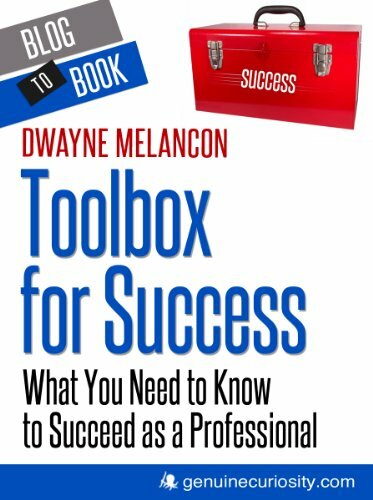 This past year, I discovered a resource that can make a big difference in your chances of success in 2013. The tool? Beeminder. I've written about Beeminder before, but wanted to revisit it in the context of New Year's resolutions - I think Beeminder is one of the best tools around to maintain individual accountability. The concept behind Beeminder is pretty simple: you set a goal, you pledge some money, you use the Beeminder site to track your progress, and if you don't meet your commitment you pay up. My commitment, as reflected in my Beeminder project this year, was to post to this blog at least 4 times per month. There was something very motivating about having the pressure of my commitment hanging over me - Beeminder helped me establish a new set of consistent habits for writing blog posts, even if my initial pledge was $5. Even with the commitment and penalty in place, I fell off my path once along the way. What did I do? I got back on the horse, paid my penalty, and set a new commitment amount of $10. That pricier commitment has been a big help - I have been consistent about posting here at least 4 times per month and, with this post, I will satisfy my 2012 goal - pretty cool. Now, as we move into 2013, I will be setting a new goal to keep my momentum here on the blog. I'm planning to set a goal of at least 52 blog posts in 2013, and will maintain my current financial commitment of $10 and, of course, I'll be using Beeminder to track my progress. If you want to learn more, there are some great examples at the Beeminder site, such as losing weight, exercising more, quitting smoking, becoming more productive, achieving financial goals, learning new languages, and a lot more. By the way - during this year, I've interacted with the Beeminder team quite a bit. If you have questions about how to best represent a goal on Beeminder, reach out to them - they have been extremely helpful in getting my goals to work the way I expect them to within the Beeminder system. If you want to see what goal tracking looks like, you can see my status graph for my 2012 goal at this link. Going forward, you can follow my 2013 goal at this link. And stay tuned - I'm going to share some other resources to help with resolutions and productivity in my first post in 2013.